Description 1. 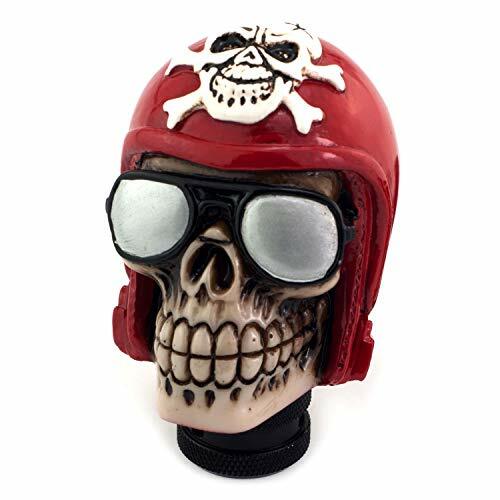 Product name: Gear Shift knob. 2. 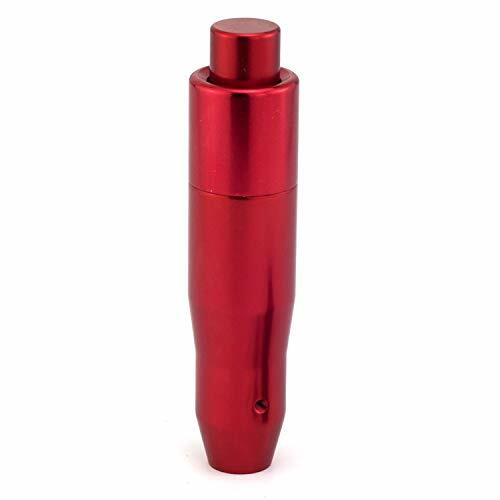 Material : Aluminum Alloy. 3. 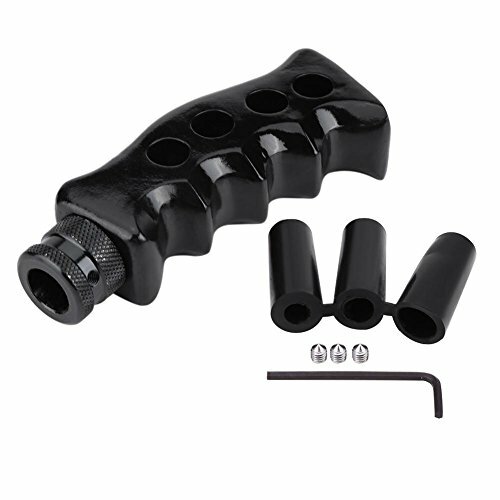 Contain with 3pcs Plastic adapters (8mm,10mm,12mm) for easy fitment. 4. 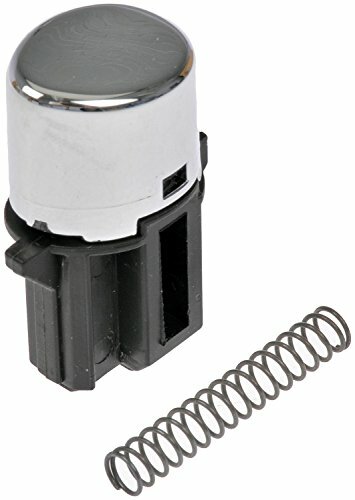 Apply to most cars, SUV or trucks, both Manual Transmission (MT) and Automatic Transmission (AT) without Lock/button. 5. Size:13cm. Installation Steps: 1. Remove the original car gear shift knob. 2. 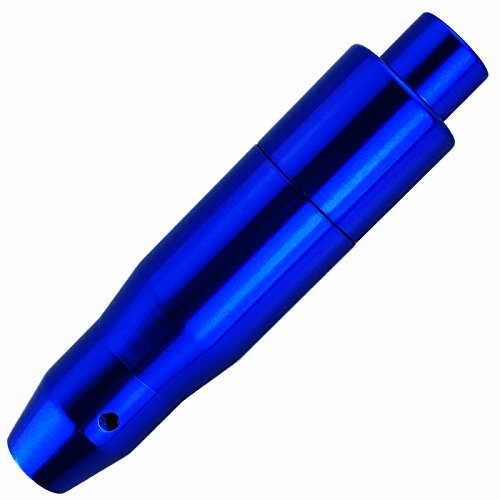 Take Plastic adapters suitable size For shift knob 3. Put The gear head into the shift knob 4. 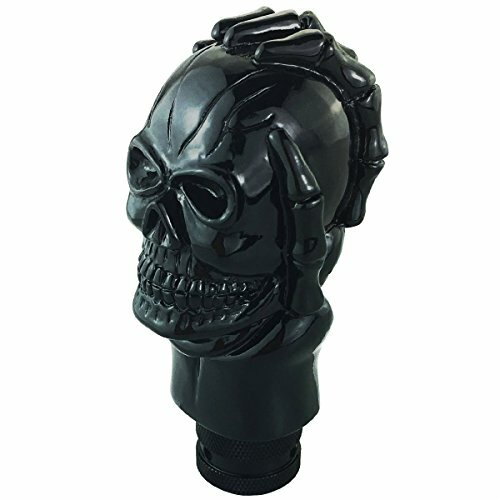 The gear head directly set into the shift knob rod Package Include: 1 x shift knob 3 x install adapters (8mm,10mm,12mm) "
Description: 1. Name: Shift Knob. 2. Material : high quality Resin. 3. 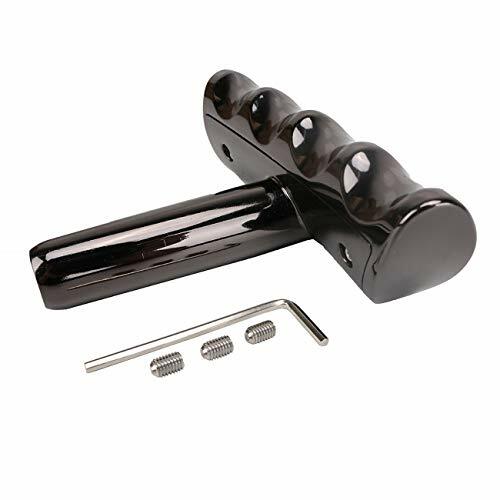 Apply for most manual car/SUV/Vehicle/Truck or automatic transmission without Lock/Button. 4. 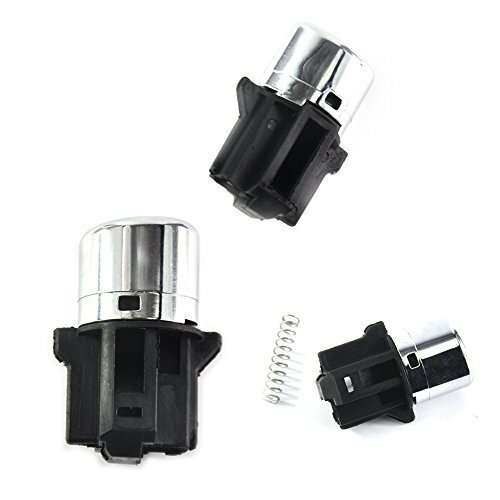 Package Include: Gear Shift Knob + 3pcs Connectors + Install Parts. 5. Note: Make sure your original shift knob can be removed. Installation instruction: 1. Remove the original shift knob parts of the car. 2. Take the right size of Plastic Adapters for the shift knob lever. 3. Fix the gear shift knob head into the lever. 4. Tighten the screws. Specification: Condition: 100% Brand New Material: ABS Plastic Color: Black Speed: 5 Speed Length: 9.5cm/3.7in Package Weight: approx.173g/6.1oz Fitment: For BMW 1 3 5 6 series E30 E32 E34 E36 E38 E39 E46 E53 E60 E63 E83 E84 E90 E91 Package list: 1 * Gear Shift Knob Note: Please kindly confirm the fitment before ordering to make sure this item is perfectly fit. 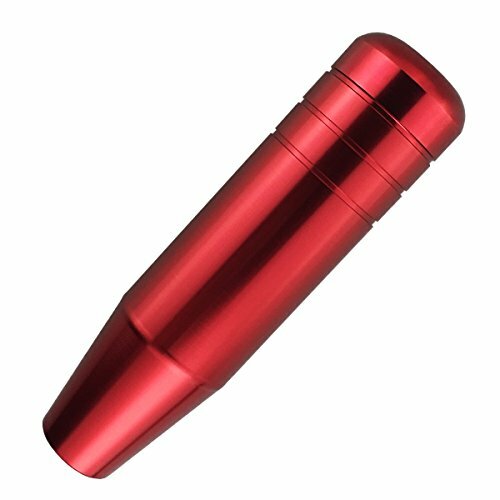 Universal Manual Gear Shift Knob Head Gun Grip Shift Knob Knife Handle Gear Shifter Shift Lever Knob with 3 Adapter 8mm 10mm 12mm As an responsible seller, we promise that 100% Money Refund/ New Replacement and within 24h online answer to your any questions. If your have any product issues, please do not hesitate to contact us. 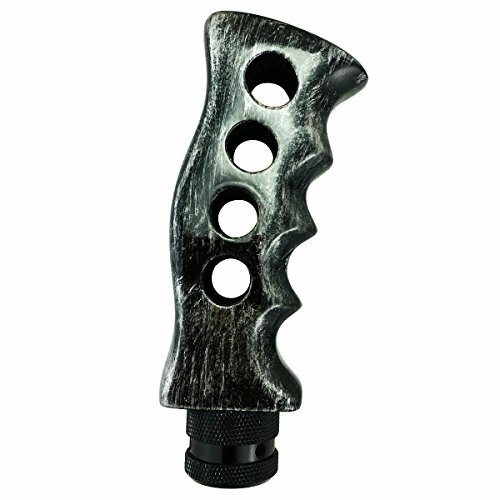 Just feel free to order our Gun Grip Shift Knob Knife Handle Gear Shifter. We will satisfy you with our professional product and service! Sincere thanks for your browsing and support! Specifications: Condition: 100% brand new Material: resin Color: black / gold / titanium(optional) Length: 127mm / 5in Width: 46mm / 1.8in Hole Inner Diameter: 15mm / 0.59in Hole Outer Diameter: 26mm / 1.02in Adapter Diameter: 8mm / 10mm / 12mm Package Weight: 161g Fitment: for most of manual transmission and automatic transmission without lock / button Package List: 1 * Shift Knob 3 * Adapter (8mm, 10mm, 12mm) 3 * Screws 1 * Spanner Note: Actual color may be little different due to photographic equipment & monitor setting, please take the subject you received as standard. 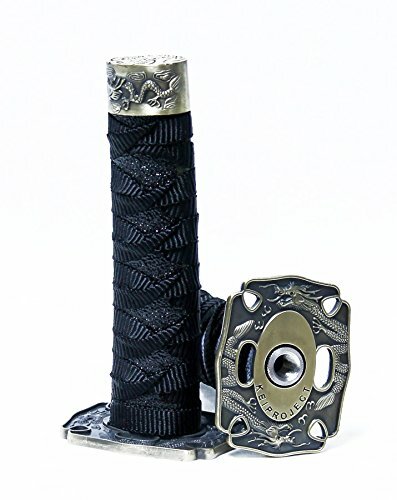 【Unique style】Sword shift knob is exquisite, clear and exquisite Design, class Japanese braided pattern, makes your car unique and impressive. 【Material&Size】Alloy+Synthetic silk+Imitative rayskin. 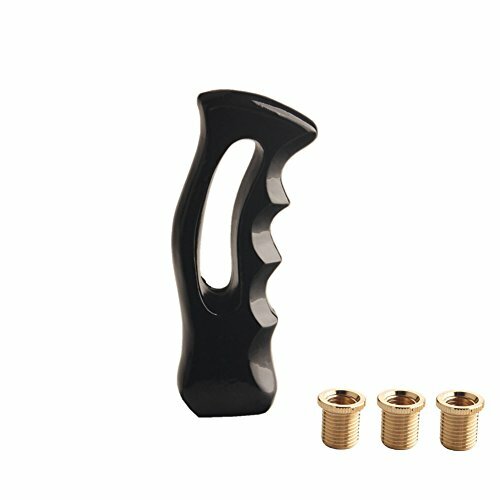 Handle: 156 mm Height, Hole diameter: 14 mm 【Installation Method】Remove original gear shift knob, choose suitable adapter to fit gear lever and knob, use 6 screws and hex key to tight knob.Hole diameter is 14 mm, please make sure your gear lever diameter smaller than hole's. 【Universal Fitment】Gear shift knob fits for manual cars and most automatic cars which with button, it comes with 4 black plastic adapters (8 mm/9.5 mm/10 mm/12 mm)，such as for Acura, Honda, Mazda, Mitsubishi, Toyota, Scion, Nissan... 【Package Include】1*Shift Knob,, 4*Adapters(8 mm/9.5 mm/10 mm/12 mm) , 6*Screws, 1*Hex Key Notes: 1、We have 6 colors you can choose: Gold+Black, White+Red, Red+Black, Black+White, Black+Red, Black+Black 2、Updated the 6 screws, it will come with a pointed top that tighten handle on gear lever. 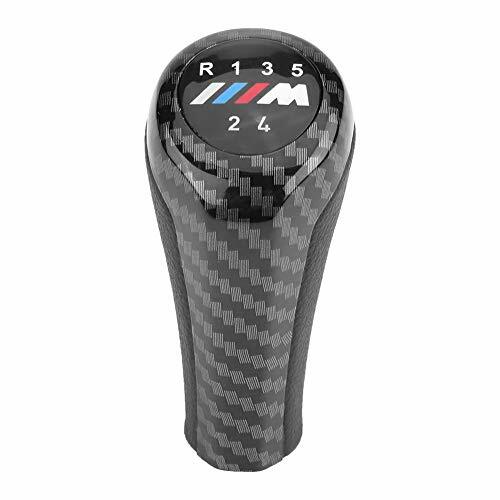 3、Gear shift knob fits for manual cars and most automatic cars which with button. 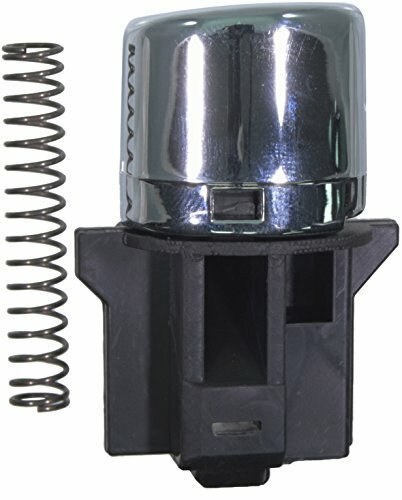 Dorman's Auto Transmission Shifter Repair Kit is engineered for cost-cutting convenience. 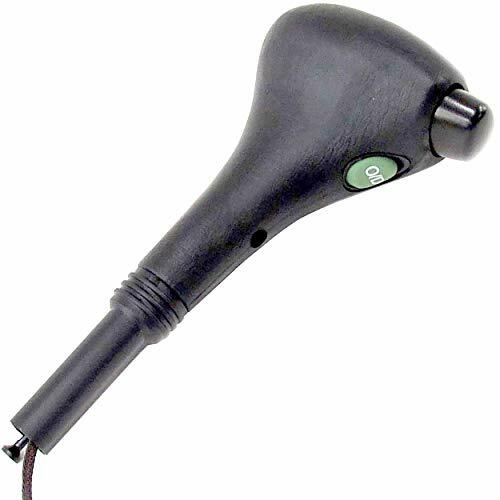 Save time, money and labor by replacing only the Auto Transmission Shifter-instead of the entire steering column. If the chrome cap is missing from your Ford F-150 shifter, you've come to the right place. 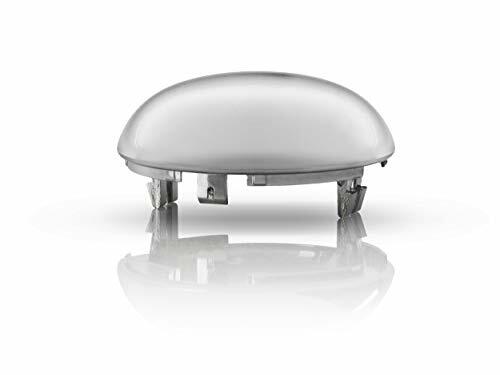 To save you money and time, Day One Automotive developed a chrome cap which installs in seconds. 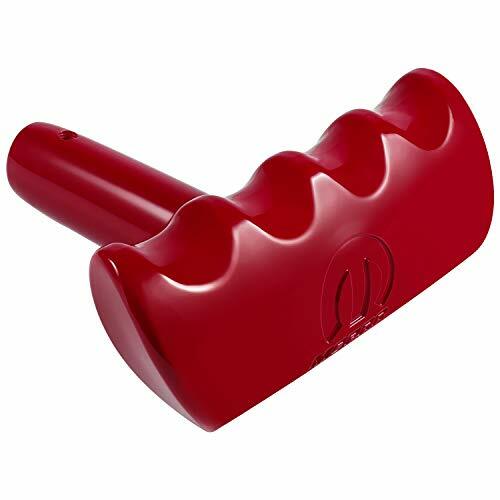 The unique design simply snaps into place with no assembly or disassembling required. In addition, the cover is triple chrome plated and the tabs have been redesigned and improved to prevent failure. Kei Project Samurai Sword Shift Knob Ever wanted to be like a samurai? Well now you (sorta) can! The Samurai Sword Shift Knob is fully constructed of steel for durability, with polyester fabric weave and nickel plated brass accents. These are perfect for those who are ready to hit the track or those who want to style out with their show cars! 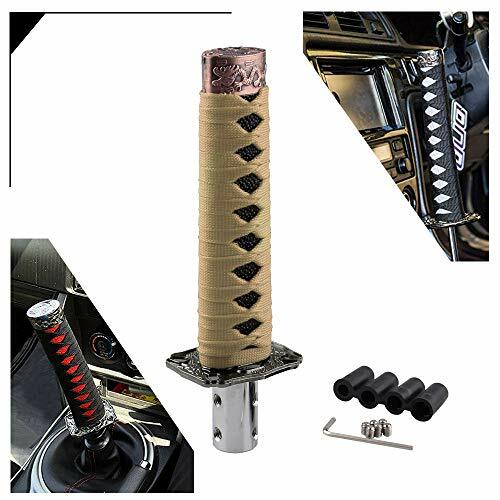 Specifications Fits threads 8x1.25, 10x1.25/1.50, and 12x1.25 Weight: 510 grams Height: 6 inches Materials Full Solid Steel Polyester Fabric Nickel Plated Brass Package includes: 1 Samurai Sword Shift Knob 3 Lock Nut 3 Adapters We have many more colors and sizes in our store so check it out!